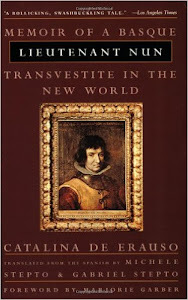 "This is an atlas of the world -- not as it ever existed, but as it was thought to be. The countries, islands, cities, mountains, rivers, continents and races collected in this book are all entirely fictitious; and yet each was for a time -- sometimes for centuries -- real. How? Because they existed on maps." The Phantom Atlas is a book that is not only filled with photos of "the greatest cartographic phantoms ever to haunt the maps of history," but also with a fair bit of the history of these "phantoms" that reveals quite a lot about their respective provenances and most especially the influence that mapping them would come to have on future adventurers and explorers. And the romance continues: in the story of the "Lost City of the Kalahari," for example, we discover that as late as 2010 an expedition was mounted to find the ruins marked clearly on a map submitted by William Leonard (aka "The Great Farini") in the 1880s to the Royal Geographic Society as part of his experiences in southern Africa. While largely discounted in his own time, in 1923, interest in this "buried civilization" was renewed, and by 1967, as the author reveals, "at least twenty-six missions" had been undertaken, even though there was no actual evidence that this lost city of the Kalahari ever existed. 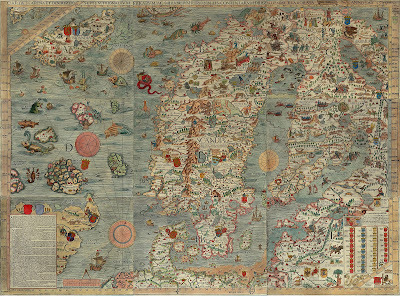 And then, of course, there are maps that have had true political implications, as in a modern controversy over Bermeja Island, off the coast of the Yucatan Peninsula at had found its way onto a map in 1539. Because of oil rights involved, it quickly became a source of controversy when a theory was floated that the CIA had destroyed the island "to ensure US hegemony over the oil fields." 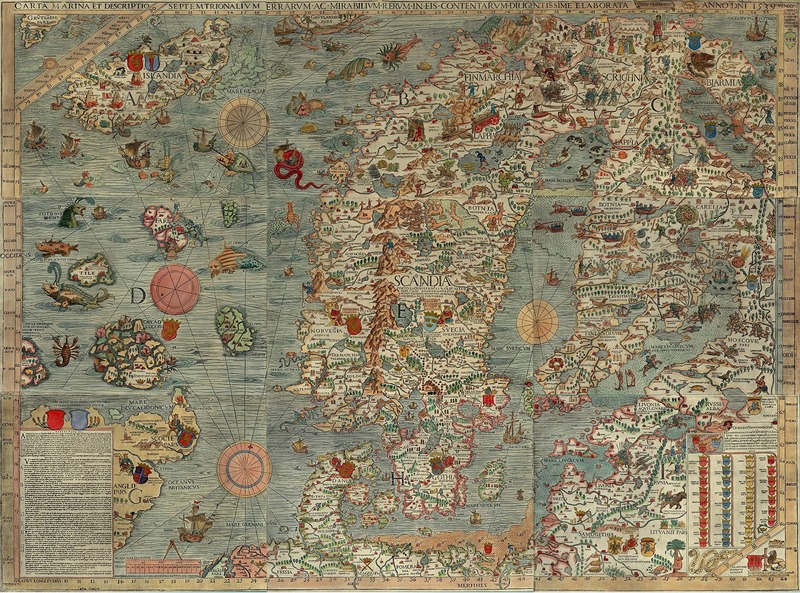 The book goes on to explore why these nonexistent places began to be mapped in the first place, incorporating elements of mythology, religion, and superstition, but also physical phenomena such as the Fata Morgana. Then there are the tricksters who felt no compunction about inventing islands or countries either for fame or for cash, as in the example of "Sir" Gregor MacGregor, who set up a scheme involving land ownership in the Territory of Poyais, which appeared on an 1822 map of central America's Mosquitia region. For just "two shillings and three pence" a person could own a piece of paradise and have the opportunity to "live like a king." And people went -- only to discover after giving up their cash, that Poyais did not exist; most were just stuck there. When relief came, sadly, less than fifty people out of the 270 who thought they were off to a better life were actually able to make it home. 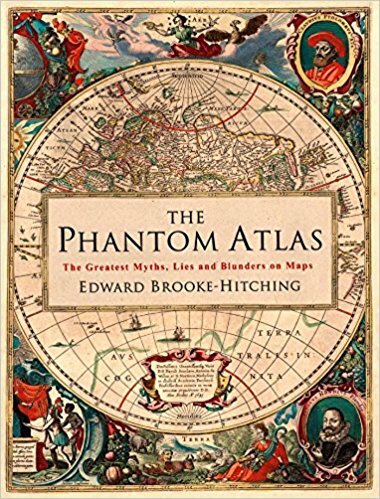 The Phantom Atlas is so very nicely done and I'm not simply referring to its amazing, giftworthy quality. It is perfect for people who appreciate the artistic quality of the maps that the author's used here and even more so for people like me who enjoy the history behind them. Some of these accounts are so strange that they could seriously be the basis of pulp fiction, historical fiction, speculative fiction or even horror stories. The dustjacket blurb calls this book a "brilliant collection," and I couldn't agree more.